We want to make things as easy as possible for you – including getting answers to your questions. Below are some general questions we've been asked in the past that you may find helpful. However, if you've been the victim of a dog bite and want to know more about your legal options – if you have a case, if you need a lawyer, or anything else – the best thing to do is get in touch with us for a free legal consultation. We're available 24/7 and you don't have to use our services. If you do decide to hire us, there's no fee unless and until we win your case. Call 1-866-943-3427 or fill out the form to the right. Who is legally responsible for dog bite injuries? What are the dog bite laws where I live? What about leash laws? What compensation can I collect for a dog bite? What if I was bitten by a friend or neighbor's dog? What will happen to the dog who attacked me or my child? Will it be put down? The dog's owner wants to talk to me about my injuries – what should I do? What if I was bitten while working at someone's home? What if I'm not sure who owns the dog that bit me? What if my dog was bitten by another dog? Dog owners are responsible for controlling their dogs, which means they must follow the leash laws and dog bite laws for their state and any places they visit. A person who allows their dog to run without a leash, or who owns a dog that attacks another person, may be liable for medical expenses and pain and suffering. A person who owns a dangerous dog may also face criminal penalties, including prison time and fines. Every state's dog leash law and dog bite law is different, so be sure to know the laws for your state. We have state-by-state maps for both dog bite laws and leash laws. You may be able to collect compensation for medical expenses, lost wages (if you had to miss work), pain and suffering, and scars. If you work with our firm, our attorneys can figure out the exact compensation you're entitled to receive. 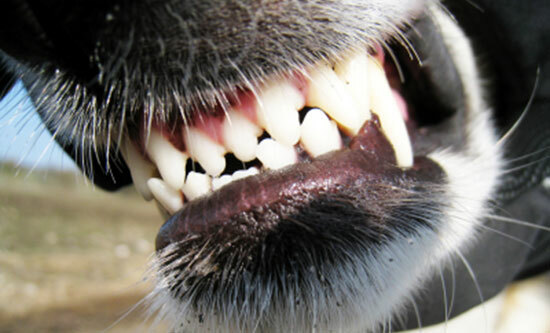 Many people are bitten by dogs they know – pets owned by family members and friends. This can put you in a tough situation: You're worried about suing someone you know while still needing money to cover your medical treatment. The good news is that dog bite claims are normally filed against the dog owner's renters or homeowners insurance company, not the individual dog owner. Most likely no, but it depends on your state's laws. Usually, the dog owner will have to report the attack to the Bureau of Dog Law Enforcement or State Dog Warden, as well as the local police department. The dog will be placed on a list of "dangerous dogs" or "potentially dangerous dogs." The owner has to notify the Bureau as well if they sell or give away the dog, and provide contact information for the new owner. In severe cases and when the dog is a threat to people, officers may impound the dog or put it down. We recommend that you not discuss your injuries or medical treatment with anyone except an experienced injury attorney. You should only exchange contact information with the owner and get the dog's license number. Don't sign anything the owner gives you or write anything to them. If someone asks or hires you to perform work on their property, it's typically the property owner's legal responsibility to keep you reasonably safe from harm. If they own a dog, this means they have to tell you about its presence and sometimes may have to keep the dog confined. You should contact an experienced injury attorney if you were bitten by a dog while working at someone's home – you may have a workers' compensation case as well. If you were bitten by a dog and aren't sure who the owner is, you should report the incident to animal control as soon as possible. You'll have to give them a complete description of the dog so they can try to locate the dog and its owner. If they are unable to find the dog, you may have to get rabies shots. Our law firm only handles cases that involve a dog who bites a person. However, there are several possible legal consequences if a dog attacks another dog. For instance, the owner may be held liable for any damages, including veterinarian bills. We have an entire page about dog-on-dog bites that outlines your options. If you were seriously injured as a result of a dog bite, it's in your best interest to talk to an experienced attorney right away. Not only does evidence disappear quickly, but there are actual time limits to file a claim. We're available 24/7, and your legal consultation is absolutely free. We'll answer your questions and let you know if we think you have a case. You can call us at 1-866-943-3427 or fill out the form at the top of the page.